When this challenge was announced, I had a lot of ideas about “Time”. In my choice of design I was influenced by a piece of vintage Japanese silk. On my sketch paper which I always cut to size I drew out a curling wave and then cut this out and moved the template around on the fabric to capture the idea of a wave. The quilt is entirely hand sewn expect for the binding. I hand turned applique the background sections and the “wave” and then hand quilted the piece using black silk thread, I did not do tiny hand quilting but about 1/4 inch so the fabric would ripple. Interesting. The curved fabric looks (in the photo) as if you had embroidered on the background — that’s how much it seems to have blended in. 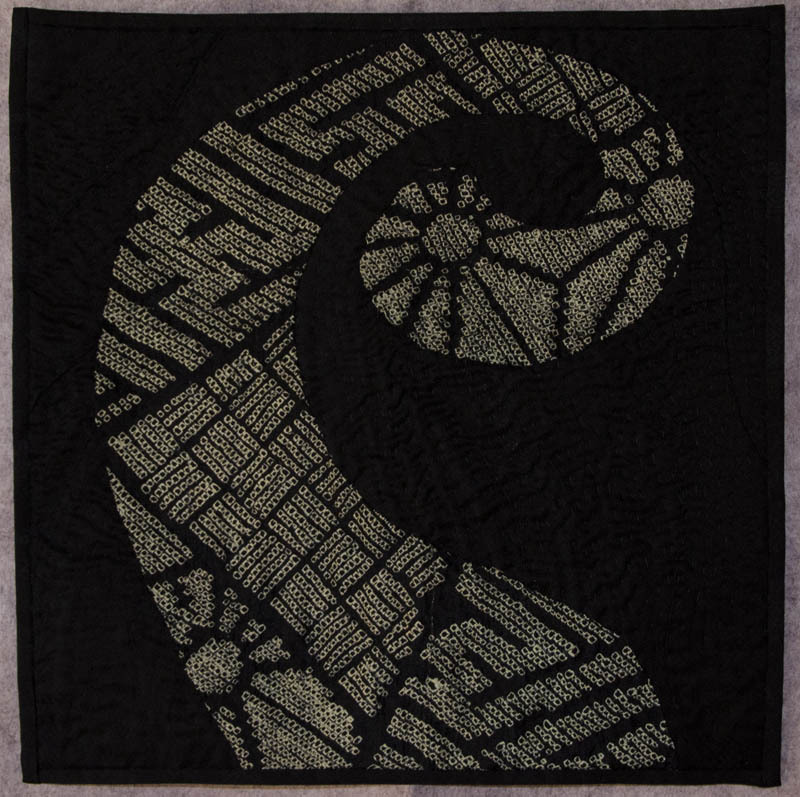 I like the ripples in the quilting, too. Very intereresting quilt, Kaylene. Love what you have done with it. I love it, Kaylene. And it’s very distinctively yours; I knew you were the maker before I saw your name.